It's week 8 of the Pet Photography 52 Week Project and the theme is "road warrior". I feel like one after returning from my trip to India last week, that was a LOT of flying! I decided to pull one image from some of our travels over the past 10 years. We're lucky in that we have so many easy flight options from the Dallas - Fort Worth international airport. No matter where we go, an animal usually finds its way into my lens, save for 2010 for some reason so enjoy my husband and I toasting you from Mexico. This was a nice trip down memory lane for me; from my days cataloging vacations with a point and shoot camera to the more thoughtful images I try to take now with a DSLR. I've been lucky enough to see some awesome things as well as some heartbreaking ones; the street dogs of India were especially hard for this animal lover. If I had my way, we'd vacation in Africa every year. The sight of animals in the wild previously only viewed in zoos was enough to bring to bring me to tears on more than one occasion. But alas the distance and cost prevent that. 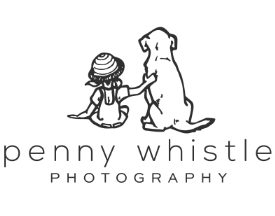 I can't wait to see what the other participating photographers have to share for this exciting topic, starting with Noses and Toes, the Spokane Dog Tog and then continue clicking on the link at the bottom each post for an around the world tour of pet photography on the road! Colleen - Wow... I am so impressed with your travels and your images. Angela Schneider - These are all so great but, no doubt, the one from Santorini is my hands-down favorite. Elaine - I thoroughly enjoyed these photos, Tracy. My fave is the dog on the roof, but they are all fantastic. Kim Hollis - I have found that all of my vacations center around animals and my camera. I will specifically chose a location because of the types of animals I will get to photograph there!